Bought one 3-8-14 really impressed with the look and quality ready to put it to use. I love my new spider blind, it has alot of open shooting zones, and is very is to put of fast whenever i cant put a treestand up fast anough. Thank yall for a great buisness eperince. 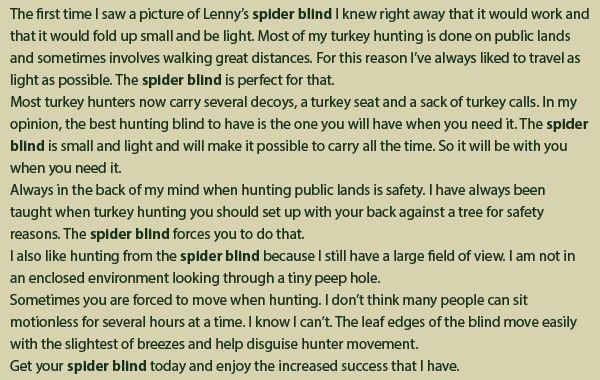 I am 15 years old and killed my first turkey using the spider blind. My dad and I were both using a spider blind on the edge of a food plot. 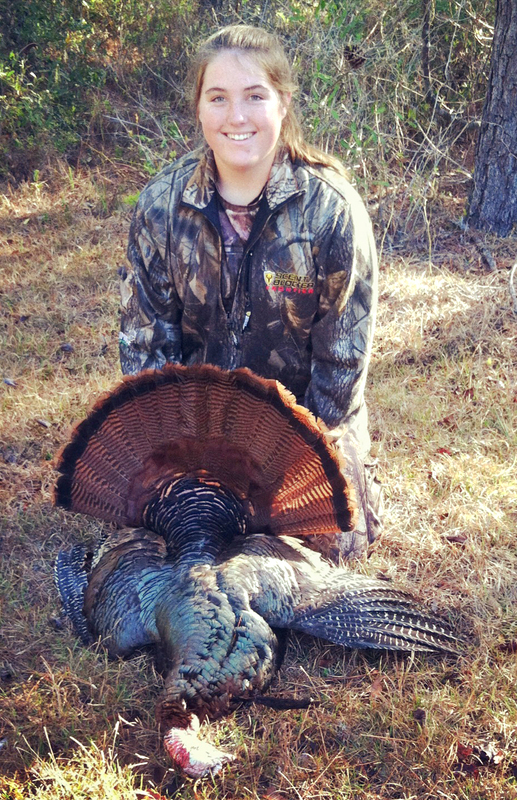 We had a gobbler and 5 hens come within 15 yards of us. It is super light and easy to set up. I would recommend this to anybody that wants to increase the success of your hunt. What do you think of the Spider Blind?